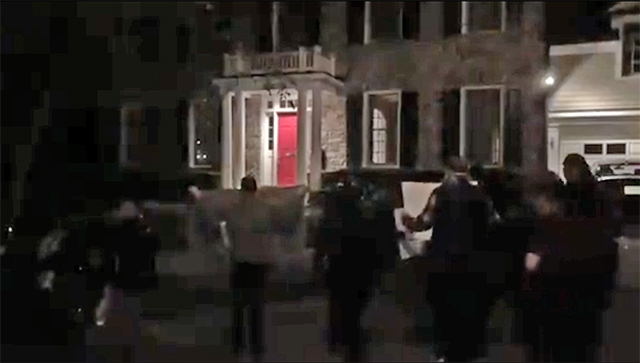 An unhinged left-wing hate mob filmed themselves screaming and shouting outside of Tucker Carlson's home in Washington DC on Wednesday night and threatening him that "we know where you sleep at night!" The mob, which goes by "Smash Racism DC," is heard chanting, "Racist scumbag, leave town!" and "Tucker Carlson, we will fight! We know where you sleep at night!" BREAKING. Activists ring doorbell, hold protest at the Washington DC area home of @TuckerCarlson, racist, sexist, bigoted FOX News personality. So far no one has opened the door. �Tucker Carlson, we will fight! This is the same hate-mob which screamed in the face of Ted Cruz and his wife while they were eating at a restaurant in DC in September. 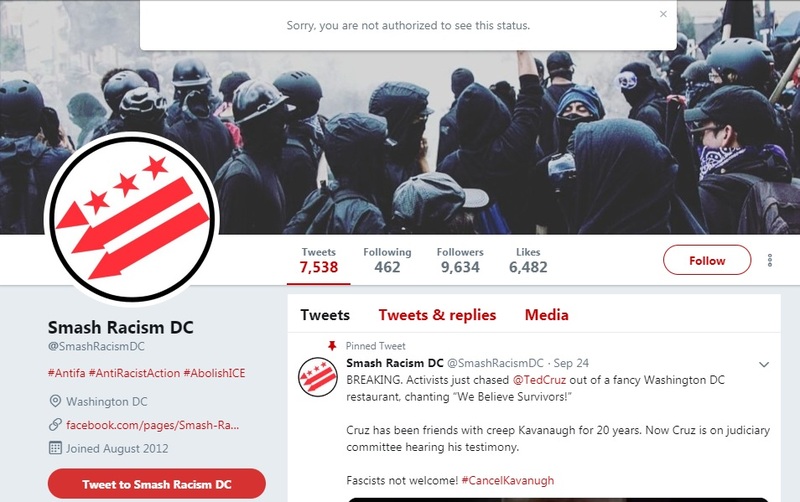 While Alex Jones was banned from Twitter for "harassing" a CNN "journalist" by mocking him at a public hearing on censorship, Smash Racism DC is allowed to harass and threaten Tucker Carlson at his home and Ted Cruz and his wife at a restaurant without any similar repercussions. 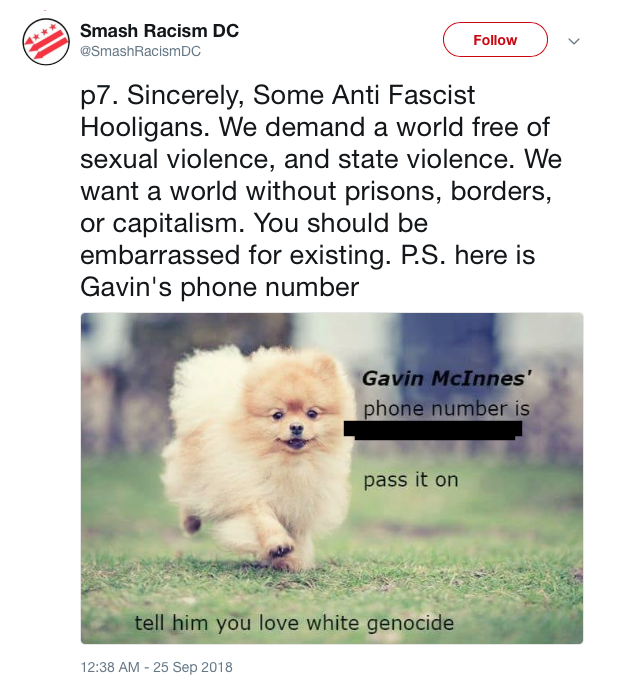 They were also allowed to dox Gavin McInnes by sharing his phone number and telling their followers to call him and "tell him you love white genocide." Despite tons of reports, the tweet remained up for hours before being deleted. While right-wingers are regularly banned for sharing inconvenient facts, leftist harassment mobs are allowed to harass people at their homes, posts threats and dox right-wingers without much if any repercussions. UPDATE: The tweets appear to have been deleted at around 10:15 PM EST. Their account is still active so it's not clear yet what happened. UPDATE II: The account has been fully suspended.